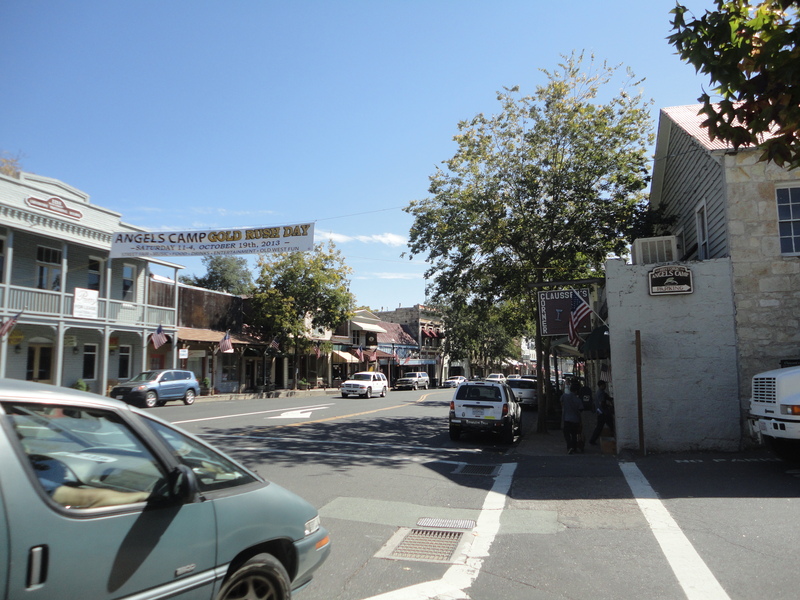 Angels Camp is the only incorporated city in Calaveras County, California. 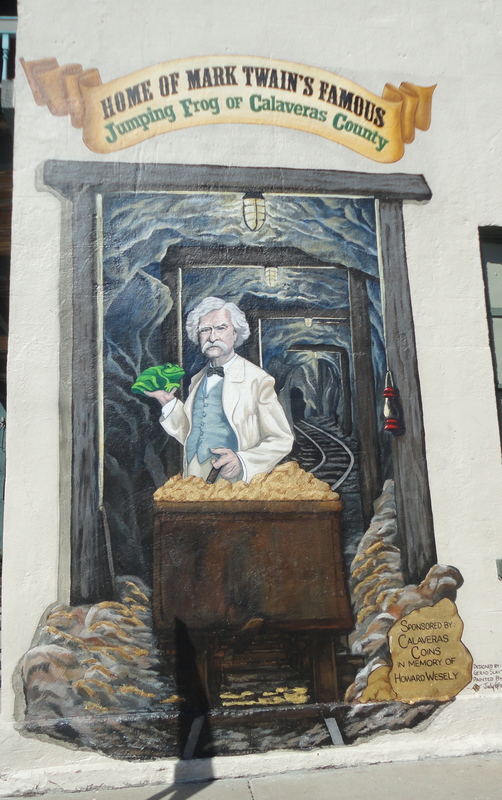 Well … it is at least the only incorporated town – it has approximately 4,000 people. 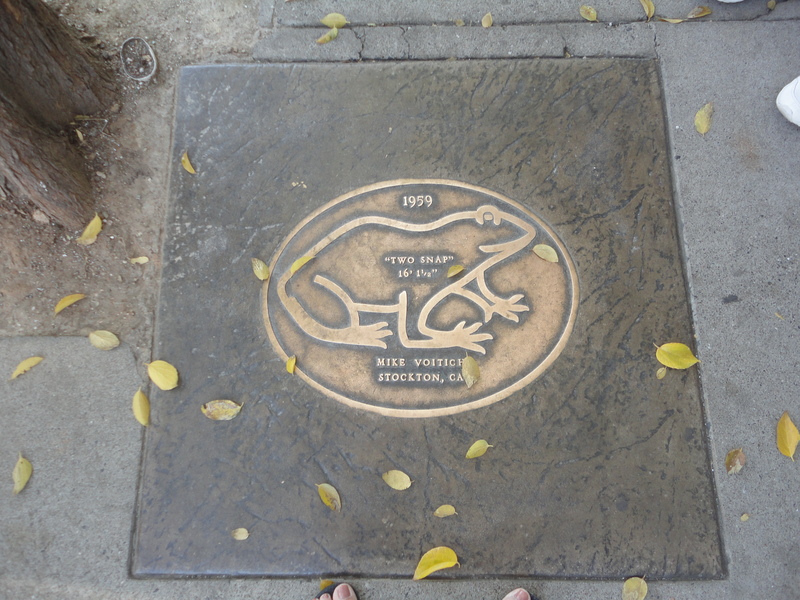 In fact, they still have a jumping frog contest every year and the winning frogs each year are immortalized on the sidewalks – sort of like the Hollywood handprints (except I’ve never seen the handprints, so who knows). 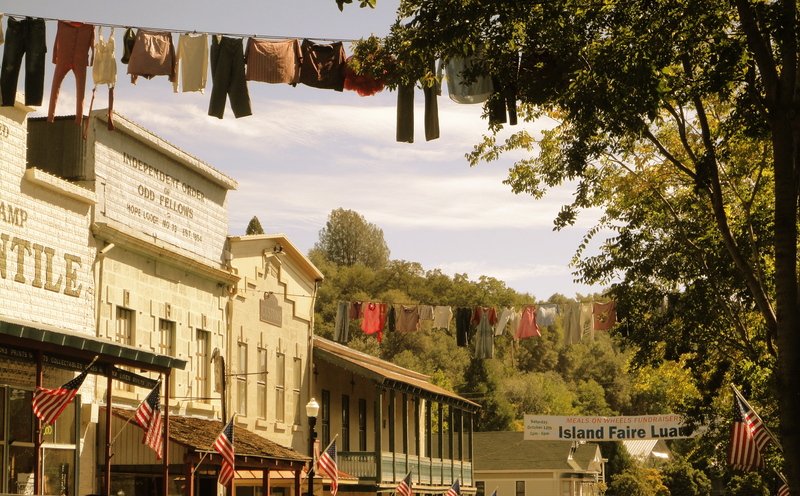 Interesting town – especially the laundry hanging across the main street. 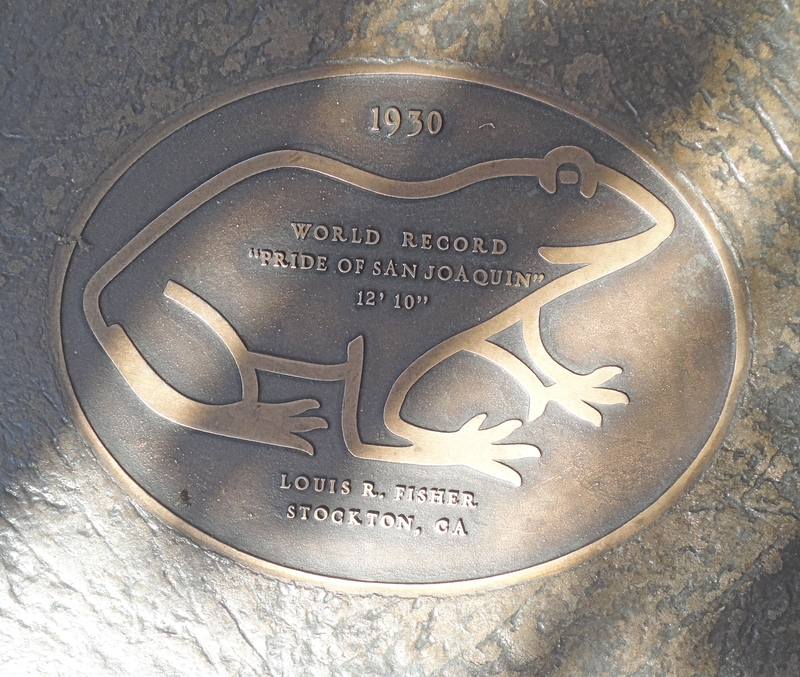 Quirky thing they do so you remember their town.